We've got some test shot pics from a fan, along with nice mock up images from hotwheelscollector.com on our forum. Click HERE and page way down to check 'em out! Shadowtek Robin and Killer Moth! Hardees and Carl's Jr. will feature a Justice League Unlimited kids meal promo in April 2007! More details as they arrive. Mattel has released pics of their upcoming exp 'The Batman' Batmobile 1/64 car. Click HERE to visit our forum and check 'em out. Unmade Mattel "BAT TOYS" toyline! LoG has the exclusive look at a concept toyline called "BAT TOYS" by Mattel. If you like it, drop us an email at matt@legionsofgotham.org and it just might get made! The Batman Gearhead (Metalhead), Blaster Batgirl & Deluxe Penguin Pics! A reader sent in pics of the new The Batman wave! See Gearhead (metalhead), Deluxe Tux Penguin and Blaster Batgirl. Here are some great loose pics of the Card Attack Joker, courtesy of LoG forum member Night Crusader. Enjoy! Exclusive DCSH wave 4 pics! We have exclusive pics of DCSH wave four on our forum! Click HERE to check 'em out. We've got our own exclusive pics of the Batman/Batgirl two pack and Batgirl loose on the forum. Click HERE to check 'em out! The first wave of DCSH 2-packs are hitting Target stores. I saw the Superman/Bizarro pack today. They retail for $14.99. TNI has a nice shot of the upcoming Batman/Batgirl 2-pack featuring classic colors Barbara Gordon Batgirl. Click HERE to see that. Mexican JL fast food promo! A reader by the name of Michael dropped me a line last month with some great pics of his trip to Mexico. Apparently, a restaurant there called "VIPs" had a Justice League kids meal promo going on. Click HERE to see a ton of detailed pics on our forum. Mattel will be releasing a Kmart exclusive JLU 3-pack this fall..click HERE for details! Members of the LoG forum can now chat with Pete, the director of the Cartoon Network Batman LEGO movie event from last May! He's talking with us about all the characters he snuck into the film and getting some fan feedback. Don't miss out on this golden opportunity! Click HERE to check out the post and discussion. Not a member of our forum? Send in an application today..its quick, easy and free! Legions of Gotham has put together all of the toy news and image links into one post for your easy reading! The Batman at comic con! Mattel unveiled their designs for Robin and Killer Moth at Comic Con! They also revealed that they have changed the deco on the Joker w/ suit (unfortunately!) and showed some nice re-decos of Croc and Man-Bat! For pics and details, visit our the Batman comic-con discussion HERE. Mattel announced that they will be making two-packs for Target stores! They include a Supes/Brainiac pack, Supes/Clark Kent pack and Batman w/ classic Babs Batgirl! Mongul and Metallo to join the Superman Returns line-up?! See pics by clicking HERE...fresh from San Diego Comic Con! 2007 JLU 3packs & singles! Bill's Toys and Games leaked out some great pics of the upcoming 2007 waves of JLU toys! The Batman Arkham 6-pack pics! The Batman Arkham 6-pack was first announced exclusively here on LoG last year. Now, Julius has scored the first pics on his AFI site! Check out Poison Ivy, the Ventriloquist and more! Click HERE! 1st look - JLU con Grundy Chase In Package! 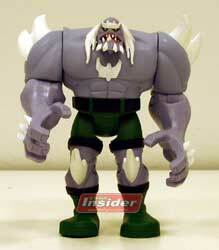 Legions Of Gotham has a look at the Con Exclusive JLU Grundy Slime Variant in package on our forum. Once you get to the forum, page down to see the pics! WB has announced that Justice League Unlimited: Season One and Batman Beyond: Season Two will be released on October 24, 2006! Julius Marx has the first look at the JLU Doomsday pack! Click HERE to check it all out and discuss. EXCLUSIVE 1st look at LEGO Con Exclusive! LoG - your Batman LEGO headquarters - has the first info about the ULTRA limited Con Exclusive for San Diego! Only 250 being made!! Colgate and Dc Comics have teamed up to provide a free limited edition comic book when you mail in a proof of purchase from a Superman colgate product. This sort of thing is a must-have for serious collectors. Legions Of Gotham have a Q&A full of collector questions posted from the guys at Hot Wheels! TONS of dish on whats to come in the next year and a half from Batman and Superman! Click HERE to visit our forum and read it all! Hot Wheels to make 1966 Batmobile! Superman Returns toys at Burger King! We reported here at LoG exclusively last spring that Burger King would have a Superman Returns promo this summer! Well, that time is here, and we've got pics of the toys and discussion about them from collectors. Click HERE and page down to check it all out! If you're a Batman or Superman collector, then you may be curious about what Hot Wheels is putting out over the next year and a half...well, they want to clue you in! Thats right, LoG is talking with HW about their upcoming product...I've heard about most of it, and MAN 2007 will be fun! Lots of retro coming our way. LoG is giving you the exclusive opportunity to submit questions to the gang at Hot Wheels regarding their upcoming product. We'll compile and give them to HW by Wednesday, so visit our forum to submit yours today. This is open to EVERYONE, not just LoG members..you can email us from this link as well. CLICK HERE TO SUBMIT QUESTIONS TO HOT WHEELS! Dc Direct Solicitations for June! Legions of Gotham has the Dc Direct product solicitations for June 2006 posted on our forum! Included in the mix is the Alex Ross Justice League Wave 5 and Batman/Superman Wave 3! Click HERE to visit our forum and check out all of the details! If you pick up one of the three Superman-related DVDs that are out Tuesday, June 20th, you will get a great movie money pass to see Superman Returns! The three releases are Justice League Volume 2, Superman: TAS Volume 3 and Superman: Brainiac Attacks! 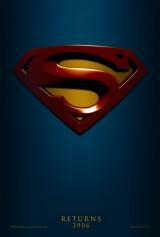 Click HERE to see pics of the Superman Returns Movie Money! The new JLU 3 packs are showing up on Ebay! ToyFare #108 has confirmed that Mattel will make a Justice League Unlimited 'SHADE' figure! New Exclusive Bat Supes 2-pack! Barnes and Noble, Amazon.com and other book & comic retailers are carrying a great new exclusive set, featuring the Superman and Batman DC Direct figures from the 'Public Enemies' arc, and the graphic novel to go along with it! For more details, visit the post on our forum HERE. Exclusive Hot Wheels DC chat! Legions of Gotham is hosting an exclusive chat with Hot Wheels next week! Click here for details on how to sign up and be the first to find out about their new Batman and Superman product! LoG has the wave three shot of the DCSH. Check out that Azrael! I can't wait. I know Robin and Freeze are re-decos...but they look great, and its a nice chance for them to re-offer them to fans that may not have scored them the first time around! Look how fancy we are! Here's our very own Grundy pic. Enjoy all. We've got pics of the Superman Returns Lex Luthor figure...ya know, the one wearing the parka! Click here to check 'em all out! more Grundy clarification from Frank! Click here and page down to read some more thoughts from Frank on the Grundy package situation! The Batman Catwoman 4 pack! Legions of Gotham had the exclusive announcement about this 4pack last year..now, we have pics! Here is the very first the batman EXP 4-pack! Click here for more pics! TONS of Batman LEGO updates! Legions of Gotham has the third Batman LEGO comic posted on our forum. Click HERE to check that out! We've also learned that LEGO has put out Four LEGO Batman keychains and two magnet sets in the UK! Click HERE to see those! A member of the LoG forum, larry, has provided us with pics and information regarding new Mattel animated 'The New Batman Adventures' style figures at KB Toys! For those not familiar, those are figures taken from the designs of the late 1990s Bruce Timm show! Click here for complete pics! Mattel has released official pics of DC Superheroes wave 3, featuring Batman, Azrael, a Robin re-deco and a Mr. Freeze re-deco, both of which look very nice! click here to check 'em out! JLU con Grundy Figure Pics! SHT got the scoop on the first pics of this year's Mattel convention exclusive JLU Grundy! Click here to visit our discussion thread and a quick link to the pics! We may have figured out the chase figure! click here for details. Pics of Metamorpho, Rocket Red and Copperhead single packs are now available. Click HERE to check 'em out. LEGO Arkham Set - 1st look! Legions of Gotham has your exclusive 1st peek at the upcoming LEGO Arkham Asylum set. Click HERE to check it out! Dc Direct has released their product solicitations for May 2006. 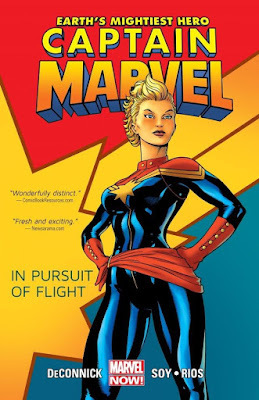 Click HERE to check out the JSA figures, Powergirl bust, a new Batman Black and White statue and more! LoG has your look at the upcoming Batman Xmas product for 2006! Items range from Classic Batman to animated 'The Batman' merchandise. Click HERE to visit our forum and check it all out! Hey, if you pick up that Batman vs. Bane 2-pack, here is a nice, easy quick custom idea, courtesy of our forum member 'PJ' A nice idea, since he would be in the cave when he's all bandaged up. Here's a nice loose shot of the Batman/Bane 2-pack thanks to a collector on the LoG forum! Click here for more pics! The Batman Target Exclusive 2-Packs! As first reported on the LoG forum , Target now is carrying three exclusive The Batman 2-packs, all containing some neat re-decos! They run at $14.99 each and include Bane w/ a battle damaged Batman, Penguin w/ Batman and Joker w/ Batman. See the pic to the side! pieces in the collection of this Teen Titans alum! Dc Direct Mini-Mates on the way! DC Direct will produce three waves of Mini-Mates this year! Click here for full pics and details! The Batman TEMBLOR is out! Temblor is hitting stores..our own darkblade has provided us with amazing pics! LoG has exclusive info on the Superman Returns Fast Food Promo and the release date for the Mattel figures in the UK. Click HERE to check it out. Boy Wonder of Mattel has given LoG the first Batman Collectors Newsletter, intended to keep us all informed during busy times when he's not able to make the rounds to the websites. Click here to read all about the DCSH, JLU and more! We're talkin' maybe new 10" JLU....info on JLU Doomsday and more! Monogram 2006- The Batman, JLU and more! Well, I've been fortunate enough to obtain a set by trade. The backback hangers are VERY small...maybe 2 - 3"...the paint apps are VERY sloppy, even for kids meal toys, but overall, they're great to have! Featured are pics of the kids meal bag!